`We're in the back of a car belonging to the men our mothers told us to never get in the back of a car of. I close my eyes and wonder how many girls will come to my funeral. 'Vincent Patrick Duffy has already checked out. 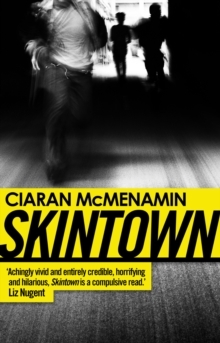 Trapped between Skintown's narrow horizons, he chops ribs and chickens in a takeaway, dreaming of escape, joint after freshly rolled joint. A mindless act of kindness leads to the unlikeliest of business opportunities. Where the government has failed, might the second summer of love and a little pill with a dove on it be the broom to sweep away the hatred and replace it with love, so much love? 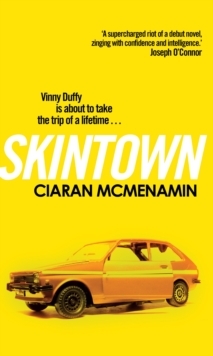 Skintown is Vinny's drink- and drug-fuelled odyssey through fighting, fishing, rioting, romance, reconciliation and acid house. 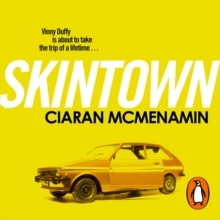 Bristling with a restless energy and drunk on black humour, this superb debut is a wild ride.